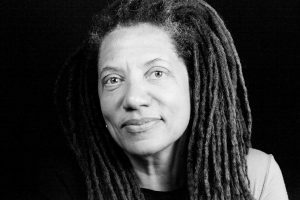 Nikky Finney will give a Thornton reading, followed by a book signing, at 7:30 p.m. Thursday, February 22, in Hall Campus Center’s Memorial Ballroom. Finney was the Guy Davenport Endowed Professor of English at the University of Kentucky for 20 years and visiting professor at Berea and Smith colleges. She also is co-founder of The Affrilachian Poets, which celebrates poets of color in Appalachia. She won the PEN American Open Book Award in 1996 and the Elizabeth O’Neill Verner Award for the Arts in South Carolina in 2016. Her book, Head Off & Split, won the National Book Award for Poetry in 2011. Finney also wrote Heartwood in 1997 and edited The Ringing Ear: Black Poets Lean South in 2007. Jer Bryant, instructor of English and director of the Wilmer Writing Center at University of Lynchburg, nominated Finney for a Thornton reading. “Having attended both a reading and seminar by Finney, I can say that she selflessly gives of herself, answering numerous questions from her audiences and often providing the inspiration for her works,” he said. Dr. Cheryl Coleman, head of Lynchburg’s English department, said Finney’s upcoming lecture will be “particularly relevant” for the way it will coincide with the components of student engagement and diversity and inclusion, which are “significant focuses” of the College’s strategic plan Vision 2020. “As the daughter of South Carolina’s first African-American State Supreme Court justice since 1877, and as a female poet of color, Finney writes about issues that should be of interest to our community as we are learning to navigate issues of race, diversity, and respect for all people,” Dr. Coleman said. The Thornton Writing Program, named for Richard H. Thornton, a graduate from the Class of 1907, has brought successful poets, novelists, dramatists, and nonfiction writers to University of Lynchburg since 1975.